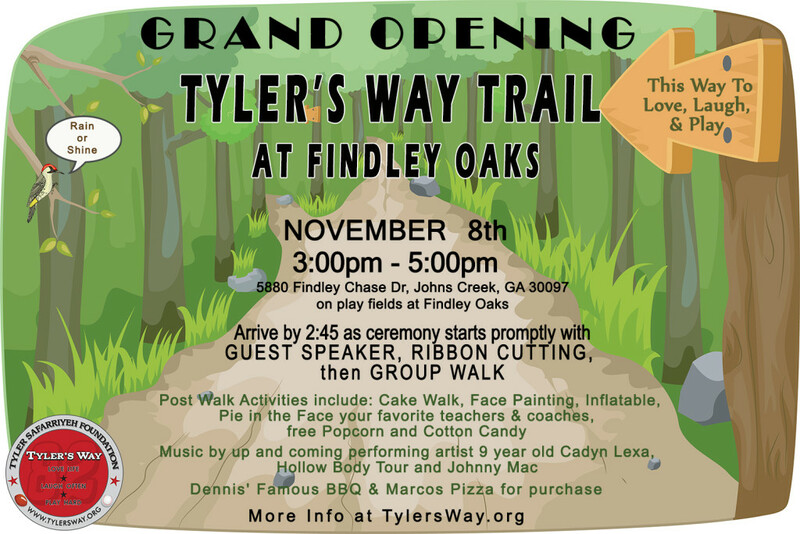 The 5th Annual Tribute to Tyler Walk will be held November 8th from 3:00pm – 5:00pm on the play fields of Findley Oaks Elementary School located at 880 Findley Chase Dr, Johns Creek, GA 30097. This will be the GRAND OPENING of the TYLER’S WAY TRAIL which is a nature/walking trail of about 0.7 of a mile. Please arrive by 2:45 as ceremony starts promptly at 3:00 with a guest speaker, ribbon cutting, and commemorative group walk followed by fun and activities for all. This is a free event is Rain or Shine so please come join us and spread the word. The 4th Annual Tribute to Tyler Walk on November 9, 2014 was our biggest year yet! With 450 participants this year and the addition of our musical entertainment, it was an amazing event! The weather was a perfect fall day and it was beautiful to see so many families, friends and kids enjoy time spent together, remembering Tyler and raising money for a great cause. We raised $10,000 this year. Thank you to the many people who volunteered their time and services and to those of you who support Tyler’s Way! We are grateful to all of you. 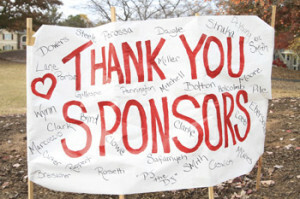 Please click here to view a list of our wonderful sponsors & volunteers. The 3rd annual Tribute to Tyler Walk was held on Sunday, November 3rd, 2013. The rain held off for a beautiful day of family fun. Some of this year’s favorite activities were the Tyler tables, a dunk tank featuring local coaches and teachers, photo booth by Buttonitup, guest speaker All American Professional MMA fighter Brian Stann, an apple spin ride, D-Wynns famous bar-b-que and music by DJ Rob Lowenthal. We had over 400 walkers come out to support Tyler’s Way and help raise money for the Foundations missions and projects. 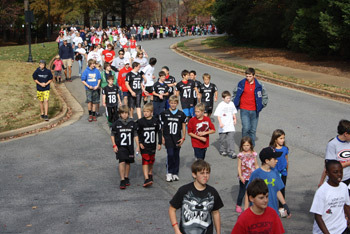 The 2nd annual Tribute to Tyler Walk was held Sunday, November 4th, 2012. This year’s event included the fun-filled Tyler tables, but also bounce houses, PJ the DJ, raffle baskets and lots of refreshments. The event raised over $7000. Thank you to all of our sponsors and participants for making this event a great success! The 1st annual Tribute to Tyler Walk was held on Sunday, November 13th, 2011. It was a big success, bringing families together to unite in family fun, celebrate the wonderful child Tyler was and raise money for the beautiful tribute benches placed at the Seven Oaks Green in Tyler’s memory. Please click here to visit the Photo Gallery for event pictures and videos.